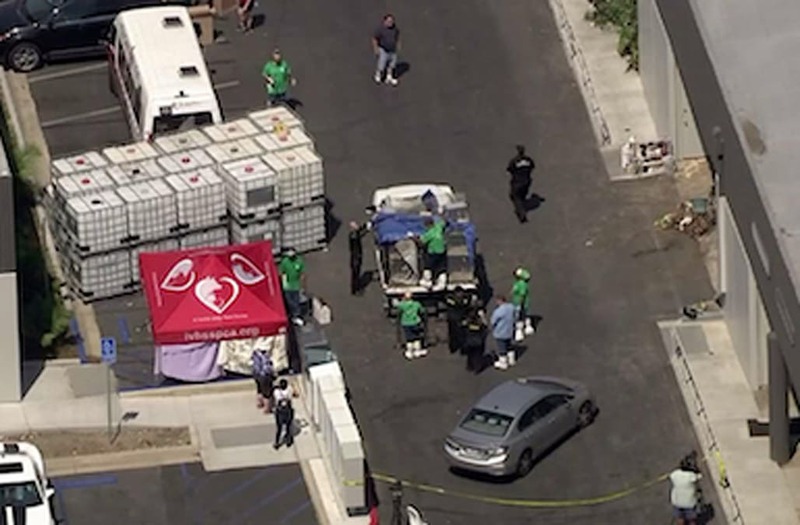 MONTCLAIR, CA (KTLA) -- Authorities dispatched to an animal hoarding call on Friday morning in Montclair arrived to find a gruesome scene — more than 1,000 dead animals in an industrial complex, authorities said. Birds, fish and reptiles were among the deceased animals found when officers responded to a commercial building in the 4600 block of Arrow Highway, according to Montclair Police Department Sgt. Minook. Nearly 2,000 live chickens, parakeets and other birds, including some exotic species, were rescued from the warehouse, as were dozens of fish, according to the Inland Humane Society. The owner of the birds was arrested on unrelated offenses earlier in the week, and now faces felony animal cruelty charges, according to the post. His or her name has not been released. The grisly finding sparked a major response at the scene, with numerous animals been driven away for evaluation and treatment. Check back for updates on this developing story. KTLA's Jennifer Thang contributed to this story.